Macon County Fire Rescue is a totally volunteer fire department which provides fire and rescue services to residents and visitors in Macon County, Georgia. The department is operated and funded by the Macon County Board of Commissioners. The department’s primary service area is the unincorporated areas of the County and the City of Marshallville; however, mutual aid is provided directly to five other jurisdictions and indirectly to six surrounding Counties. The Fire Rescue has a command staff including the Fire Chief, two Assistant Fire Chiefs and six Captains. The full volunteer staff consists of 52 members of which most all are N.P.Q. Firefighter I certified and very few are N.P.Q. Firefighter II certified. 75 percent are certified vehicle extrication, 75 percent are certified First Responders, with 10 firefighters having class an A CDL license. The department provides services in the following area: Structural fire suppression, Wild land fire suppression, Medical First Response, Basic Life Support, Fire Prevention Program, Hazmat Operational Level, and Rescue Operational Level. Major activities include structural fires, numerous brush fires, extrications and frequent assistance to vehicular and farm related accidents. The Fire Department meets all state requirements for training and has an ISO rating of 5/9. 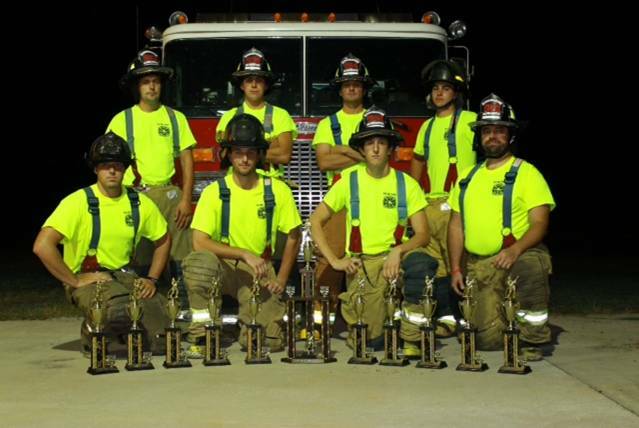 Macon County Volunteer Firefighters are the reigning champions of the state Firefighters competition hosted by the Georgia State Firefighters Association and Georgia Association of Fire Chiefs. Today, volunteers comprise a majority of our nation’s fire service. In fact, 70 percent of all firefighters are volunteers, with more than a million volunteer firefighters and emergency medical personnel in the U.S. Half of all Americans live in communities served by fire departments that are either volunteer or a combination of volunteer and career (full-time and paid). In addition to providing life-saving services, these volunteers save communities across the nation a significant amount of money. It would cost U.S. taxpayers an estimated $140.7 billion every year if all the volunteer first responders were replaced with career staff. The Main Station is located on Mennonite Church Rd at the intersection of Hwy 224. Substations are located on Highway 224, Highway 26 East, Sutton Road and Highway 127 West.